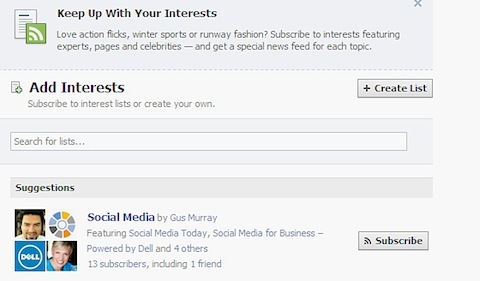 Facebook is speedily improving: “Send” button, modified news feed, timeline… – dozens of things may be listed here. However, in contrast to a rapid pace of Facebook development, users are not so fast to learn all new features, especially if these features are unnoticeable. 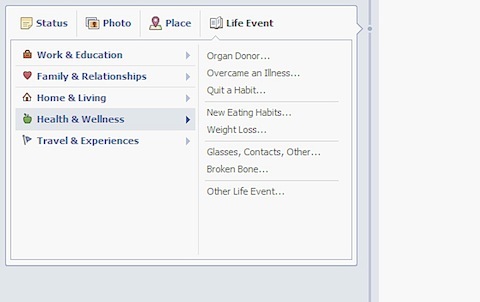 This post is an attempt to reveal some useful but yet secret Facebook options. Are you over-flooded with excessive information from your friends, subscriptions, and fan pages? Eager to leave only those who provide definitely relevant updates? 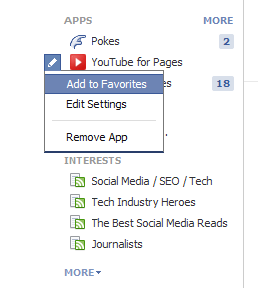 Hard to believe, but the tool allowing facebookers to do this has just appeared. The AddList app promises to cater special news feeds for each topic you’re subscribed to, e.g. Technology, Photography, Journalists, etc. If you’re too lazy to bother with interest lists and your news feed is still overwhelming, you should pay attention to the Links app. Here you’ll see only posts with links to notes, websites, images, and videos liked by your friends or posted by fan pages. This seems to be the most substantial part of the feed: no status updates, no event notifications, and other stuff like that. The upper block in the left column is called “Favorites” and this is no mere chance. You may easily add or remove content from it. The only thing that can’t be thrown away is News Feed. To add anything, for example Interest Lists or Links, just click the pencil icon next to the desired content feed and choose “Add to Favorites”. Timeline, which replaced the old Facebook wall, is not only a new design, but also the biography constructor for the lazy. No need to invent anything, the panel Life Event has already collected everything you can tell about yourself. You don’t have to write a lot: only to press a few buttons and fill in a couple of fields. There are about 100 points of biography provided in the app: broken bone, changed beliefs, weight loss, new car, and other pleasures. In a manner, timeline can live its own life and tell about your daily routines automatically. This happens each time your friends tag you – on photos, videos, events. 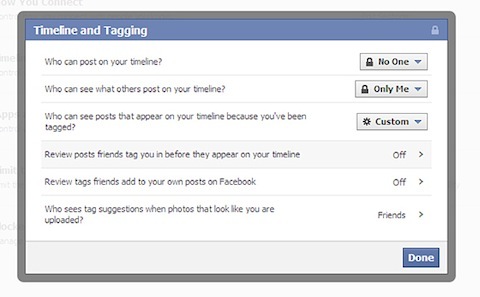 If this fact annoys you, you may easily close the door of messy tagging in Privacy settings section Timeline and Tagging. Never heard? Still this is true! 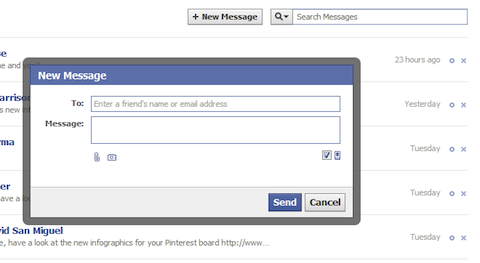 Your public username combined with @facebook.com let you use Facebook as any traditional email system like Gmail or Yahoo. Emails will be delivered to your Facebook Messages. When you send messages to external email addresses, your letters will be also formatted to look like Facebook messages, including your name, profile picture, and message. 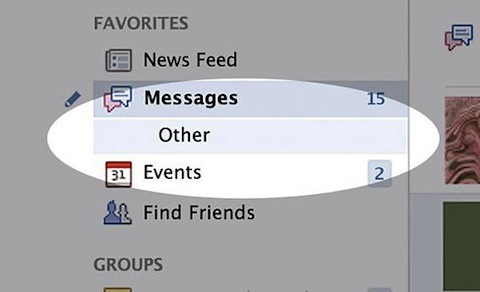 Have a look at your Messages folder and click the “Others” tab. Surprisingly, many of you will find a dozen of unread messages sent by people who aren’t your friends. The problem (or happiness) is that you don’t receive notifications about such messages. There is no any obvious settings to fix this, so you have to check this tab manually. And a piece of advice to those who post such messages: before you write to someone in Facebook, you’d better make friends with this person. Facebook authrities will hardly agree to make such a button, though the idea got more that 3 million likes. 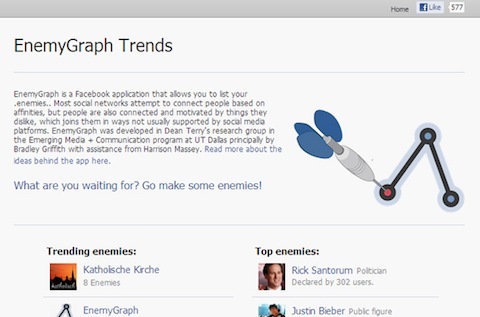 Still if you want to tell all the truth about a user, place, company or website page, you may use the app EnemyGraph the only substitute for the “Dislike” button. The application is quite young, but it already has a lot of users and Zukerberg’s team still tolerates it. If the number of your Facebook friends is decreasing, though you didn’t do anything to cause it, then some of your friends are unfaithful. 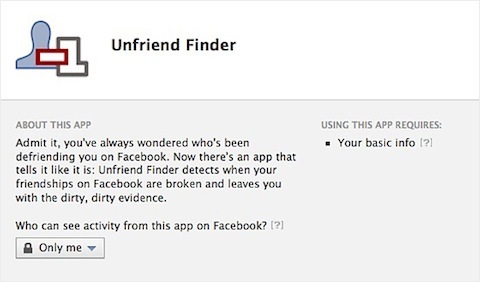 You may easily identify them with the Unfriend Finder plugin which “betrays” the contacts who removed you from the friends list or ignored your friend request. Note that plugin starts spying on your friends only after installation and can’t show retroactive results. It is not clear why, but there is such an option. 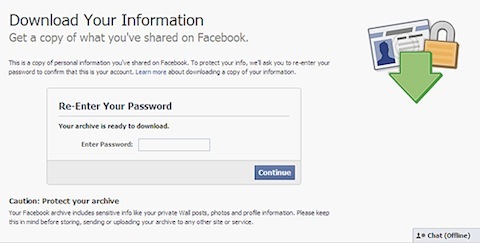 To back up Facebook data, you need to make a request and within a day Facebook will send a link to an archive with your public and private posts, photos, and information from your profile. For romantics, there’s also a similar thing – Timeline Movie Maker a video generator from your timeline photos. This is guest post by Elena Vakhromova who is an IT enthusiast, blogger, product marketer specializing in Freemake Music Box software. She is also an editor at Freemake Blog.